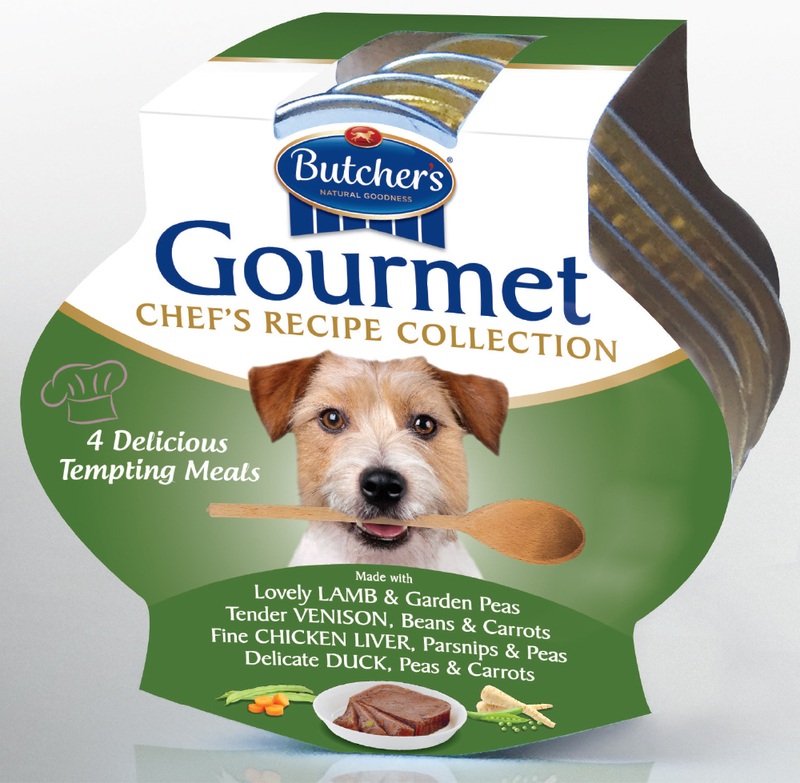 Our new Butcher’s Gourmet packaging looks tasty, tempting and a cut above competitive products. The cheeky Jack Russel with his wooden spoon is engaging and communicates the appetite appeal of the chef’s special recipes. The design accentuates the unique structure of the pack with the white top giving premium cues and standout on the busy, cluttered fixture. Strong colour coding helps range navigation especially as consumers tend to shop this category on autopilot. 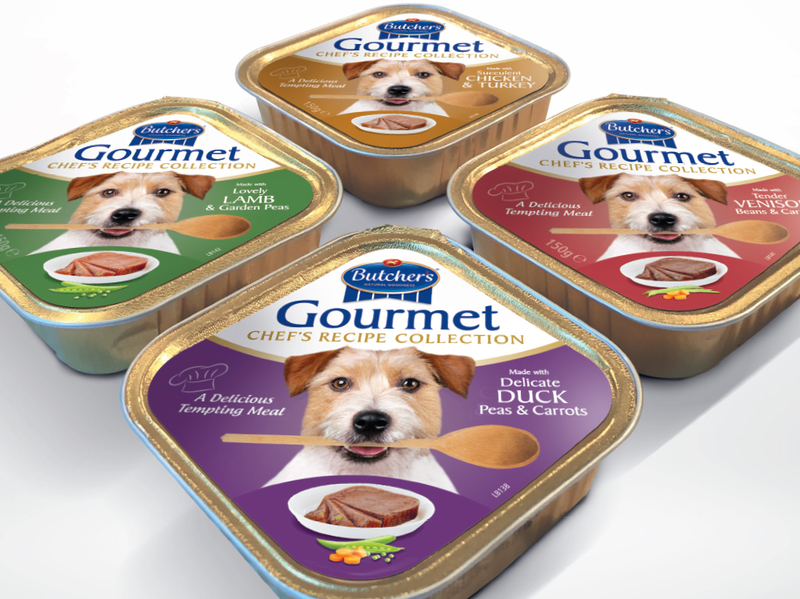 “Our new Gourmet pack with DGI’s design is totally unique and differentiating within the crowded category. 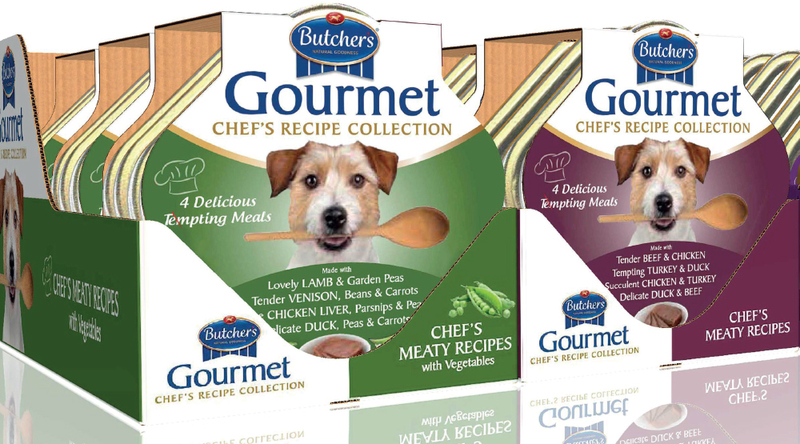 The packs have great standout on shelf and do a first class job in communicating the premium, tasty recipes in the Gourmet range. 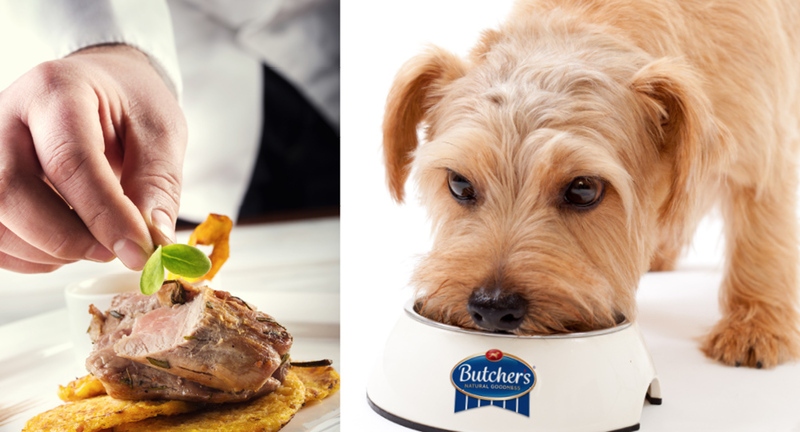 The Jack Russel is intelligent, fun and a real character, perfectly summing up the personality of a ‘Butcher’s dog’. We’ve had some excellent feedback from the Trade and the new pack has helped us to drive distribution gains”.